On Friday, May 20th we said goodbye to our 6th Years, the Year of 2016. The day began with a whole school assembly in Calry Church, where speeches were made by Mr. Hall, the Deputy Head Boy and Deputy Head Girl, and Mr. Johnston. Much fun and excitement was had involving water balloons and water pistols, and the teachers have kept up their winning streak in the Student v.s Teachers football match. That evening, there was a formal ceremony for the 6th Years and their families in Calry Church. 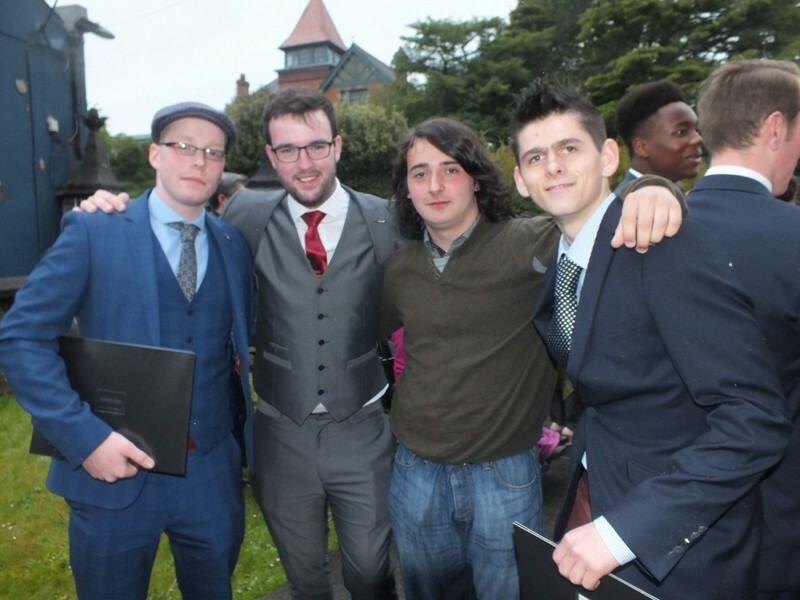 Students laughed, sang and reminisced about their years at Sligo Grammar School. A most enjoyable night was had by all. Goodbye Class of 2016, we’ll miss you all!